BINGO plays every Monday, December through Easter - please join us in parish hall. 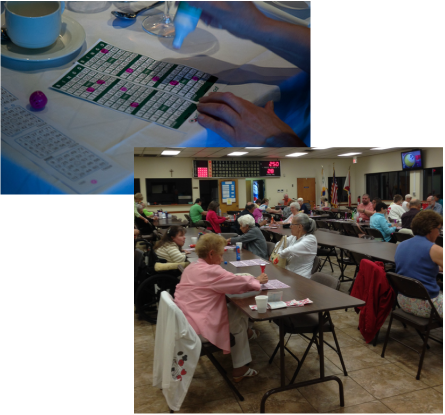 Each winter from October to Easter, St. Bernadette Parish hosts weekly Bingo events. Parishioners and guests are invited to join us in the Parish Hall on Monday nights from 6-9pm. A variety of different game packages are available. Food and refreshments are available for purchase. For more information please call the Parish Office 850-234-3266.